Cassia is the aromatic bark of the Cinnamomum cassia plant of the family Lauraceae. Similar to true cinnamon, cassia bark has a more pungent, less delicate flavour and is thicker than cinnamon bark. We are Glad to introduce ourselves as one of the leading Exporters of Indian Spices namely Chilly, Turmeric, Coriander, Cumin, Curry and various other spices. We deal in both the forms of spices i.e. Whole as well as Powdered form. We also deal in Animal Feed and Bird Feed. We also deal in best quality Indian Sugar . We imports Cassia from Vietnam and distribute in our local spice market. Generally we import split cassia and broken cassia. High quality with rich aroma suitable for Indian market. Cinnamomum Cassia called Chinese Cassia or Chinese Cinnamon is an evergreen tree originating in Southern China, and widely cultivated there and elsewhere Southern and Eastern Asia. It is used as a spice (flouring agent) as well as a medicine (nutraceutical). Kapil Enterprises is one of the leading merchandiser exporters of numerous medicinal herbal products including Cinnamomum Cassia. 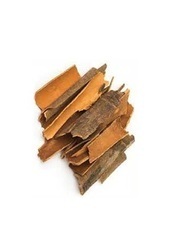 Cassia cinnamon is used for curing gas (flatulence), muscle and stomach spasms, preventing nausea and vomiting, diarrhea , infections, the common cold, and loss of appetite, Bed wetting. USE : It is very largely used as spice or condiments on account of the presence of the essential oil which imparts a delicious flavour to curries. Cinnamon (Cassia) (Jungle)We provide premium quality of Whole Spices and Powdered Spices. 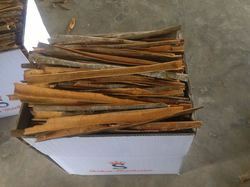 Cassia is the dried husk ( Bark ) of a small bushy evergreen tree, Cassia is often used as a less costly substitute to cinnamon. In India Cassia is grown in North Easter States and in the evergreen tracts along the high ranges of the western Ghats. Botanical Name (S): Cinnamomum cassia Blume. We are successfully meeting the varied needs of our patrons by offering a wide gamut of Dry Cinnamon as per their precise needs.